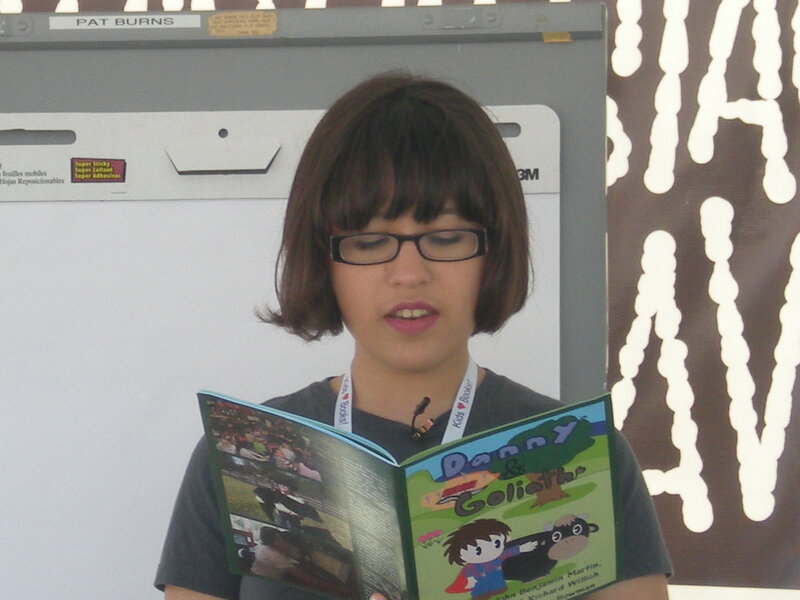 To honor the many social good contributions of an autistic leader who illustrated two anti-bully books and new PSA, Teen Actor Lauren Dair Owens (New Girl/ Fox) will present a Golden Goody Award trophy this Friday, April 20, 2012, to Award-Winning Animator and Autistic Teen, Dani Bowman. This celebration will include the new release of a Rethinking Autism PSA (Public Service Announcement): Believe It: The Dani Bowman Story, and will be presented at a special Goody Awards ceremony hosted by Deutsch LA Advertising Agency in Los Angeles, CA, with other young actors, including Zach Callison (Prince James in Disney's Sofia the First), Ariel Fournier (Disney 365), Misi Stomber (Recording Artist), Temara Melek (Recording Artist), activists and entertainment industry leaders. The Goody Awards (http://goodyawards.com) is proud to honor Dani Bowman, Autistic Teen Animator, with it’s top award, a Golden Goody (like an Oscar for social good) this Friday, April 20th as part of their cause marketing campaign for Autism Acceptance Month. CEO/Founder Liz H Kelly, shared, “We’re grateful to Dana Commandatore, Co-Founder of Rethinking Autism, for introducing us to Dani Bowman, and we’re excited to have Lauren Dair Owens present this special award because she has also done anti-bully TV shows and PSAs, and worked with autistic children.” With the release of the new Bully movie and because 60% of special needs kids have been bullied (British Journal of Learning Support), this Autism Acceptance Month campaign is also dedicated to supporting the messages of this important film. Dani Bowman started her own animation company at only 11, Powerlight Studios, writes and voice acts 9 different cartoon series, and speaks about her anti-bully books at events. Dani shared, “I am honored to be the recipient of the Golden Goody Award. As a person with autism I think it’s important to stand up against bullying for those in the autism community, spread positive awareness of autism and inspire others with autism to follow their own dreams.” Dani recently did red carpet interviews at the LA Animation Film Festival with animators such as Academy Award Nominee Bill Plympton, and is currently showing her new short, Mr. Raindrop at festivals. The Goody Awards and Rethinking Autism felt strongly about finding an actor to present the award who supports the anti-bully messages in the new Rethinking Autism PSA and two anti-bully books illustrated by Dani Bowman: Danny and Goliath (Volume 1) and Richie and Goliath (Volume 2) http://www.powerlight-studios.com/Books. The books were written as a collaboration between Richard Willich, Joey Travolta, and John Benjamin Martin, and are about animals with unique qualities who are befriended by others who think the differences are cool. 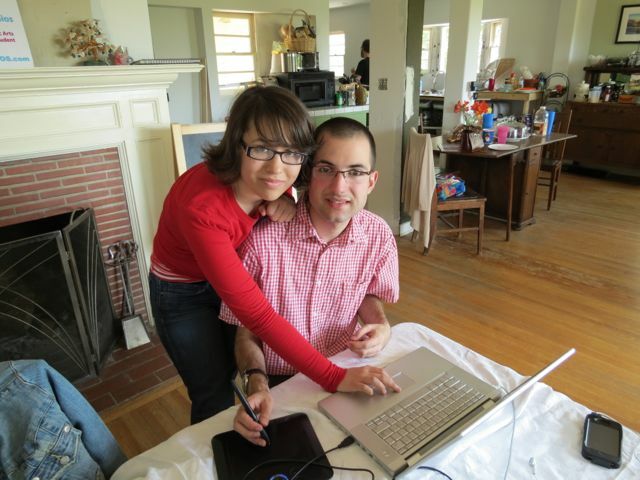 Dana Commandatore and her husband, Actor Michael Broderick co-founded Rethinking Autism http://rethinkingautism.com and are raising an autistic son with the hope of a better quality of life for autistic people and their families by changing the conversation to appreciation of talents. Goody Awards were created to empower individuals to recognize social good via social media. Because CNN Heroes honors so few, the Goody Awards wanted to let anyone tweet a public thank you using #GoodyAwards, the Award Type (#GoodDeedGoody, #HeroGoody or #TeamGoody) and the WHY. Goody Awards has put together a global team of entertainment, technology and activist leaders who are passionate about recognizing and doing good, and has launched social media channels on Twitter http://twitter.com/goodyawards, Facebook http://facebook.com/goodyawards and YouTube http://youtube.com/goodyawards. The CEO and Founder, Liz H Kelly, has helped build companies and recognition programs for Fox Interactive Media/MySpace, the first Sprint PCS / Sprint Spectrum, T. Rowe Price and several internet start-ups in Los Angeles, CA. Global Media Experts, Actors, Actresses, Producers, Mobile Leaders and Philanthropists are all part of the Goody Awards Advisory Board.